Effective January 1, 2014, Illinois drivers will not be able to use their cell phones for calling or texting unless they use hands free devices such as Bluetooth. 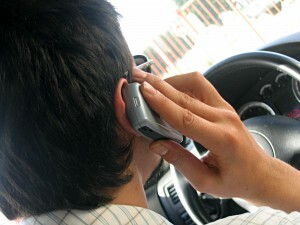 Distracting driving has gotten a lot of attention recently, particularly with the increased use of texting. DON’T TEXT AND DRIVE! In fact the National Highway Traffic and Safety Administration (NHTSA) has been studying the problems associated with distracted driving for some time (http://www.nhtsa.gov/Research/Human+Factors/Distraction) and has noted that there are many types of ways to divert a driver’s attention such as eating, applying makeup, tuning a radio, use of cell phones, and playing music. Businesses which require its employees to drive for their work should take special note of the problems associated with distracted driving and adopt personal rules which clearly prohibit the use of cell phones while driving or make sure that the employees are using only hands free devices if phone usage is required. For help in drafting these policies that best suit your business, contact us at Bellas & Wachowski – Attorneys at Law.